Called PayForIt, the scheme is designed for those buying goods and services with a value of up to £10. The industry hopes it will be used to pay for ringtones, train tickets, parking fees and eventually as a payment system on web shops and sites. Any cash spent via the scheme will automatically be added on to a customer's phone bill. The scheme standardises the way phones can be used to make payments so the process is the same no matter which operator a customer has signed up for or which handset they are using. Mike Short, chairman of the Mobile Data Association, said PayForIt had been developed as an alternative to other systems such as premium rate SMS. Many people, said Mr Short, were unhappy using that payment system because of past uncertainty about how much they would pay and who they turn to if things go wrong. "It's for those customers who have not felt comfortable with mobile transactions or payments," he said. Trust in mobile payments would be boosted, said Mr Short because shoppers will know who they are buying from and what they are spending. Anyone paying for goods with PayForIt will see an information screen that lays out what they have bought, who it has been bought from and how much it will cost. "It's about opening up the micro payment choices," said Mr Short, "but it's not a total cash replacement." PayForIt will appear as a payment option on sites that people can get to via their handset and soon will also appear as a way to pay on websites too, said Mr Short. Companies such as I-play, Gameloft, EA, Multimap, SonyEricsson and Samsung have become the first to sign up and let people pay using the PayForIt system. 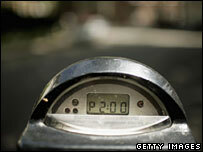 PayForIt was first announced in March 2006 and the official start date for the scheme was 1 September. "Most big brands would not use premium rate SMS to run their services, it's not a good experience, it's not consumer friendly," said Anuj Khanna, a spokesman for Tanla Mobile which is one of the firms administering payments made via PayForIt. "It's entirely geared at the low value, high volume transaction market," he said. Paul Hunt, an expert on mobile commerce at consultancy Atos Origin, said there had been many failed attempts to set up similar schemes in the past. He said PayForIt has a good chance of success. 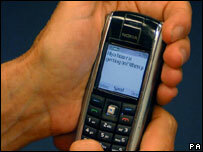 "There's a much wider age range of mobile users and the capabilities of handsets have changed," he said. "The click to buy reality is catching up with the hype." But, he added, the backers of the scheme had to work hard to distinguish PayForIt from alternatives to ensure people realise how it differs from other schemes.